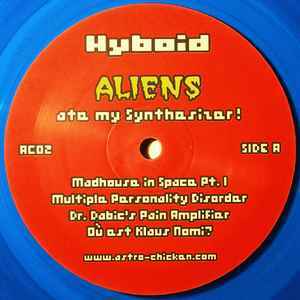 Hyboid ‎– Aliens Ate My Synthesizer! Played once. In original stickered protection sleeve. Sleeve has 2 split seams. Unplayed Record from warehouse stock!